Courtesy of David Rosenberg “Girl in the Red Corner” will be playing at the Den Theatre through March 2. Halo is fresh out of an abusive relationship. One day, on a whim, she wanders into a gym and signs up for mixed martial arts lessons, which in turn leads her down a path of self-discovery. “Girl in the Red Corner,” directed by Elizabeth Laidlaw, follows Halo, driven by a newfound passion for mixed martial arts, as she strives to find her own purpose in the world while coping with the ups and downs of family and work life. Elizabeth Laidlaw directed this version, and the versatile cast is made up of only five actors, three of whom play multiple roles. “Girl in the Red Corner” deals with real life themes, such as the taxing financial situation of Halo’s family and the impossibility of upward social mobility, as well as adjusting to her new job as a customer service agent for an internet company, where she faces verbal harassment from the customers. At its core, “Girl in the Red Corner” is a feminist piece of theater. It places a domestically abused woman into the ring, devoid of love interests and unnecessary subplots. There are many notable performances in the play, including the particularly believable non-binary actor August N. Forman, who plays Gina, Halo’s ruthless, no-nonsense trainer with a secret heart of gold. The realistic fight scenes, choreographed by John Tovar, make the audience forget this is a play; however, no actors were harmed in the making. 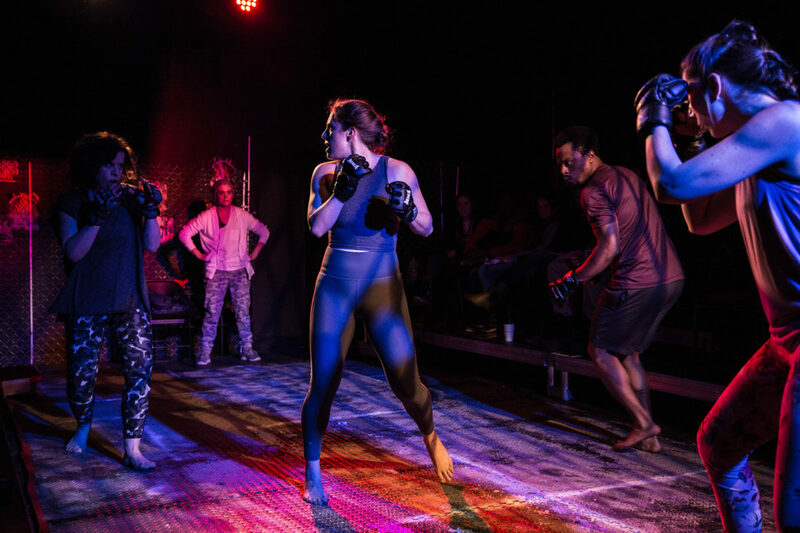 “Girl in the Red Corner” will be playing at the Den Theatre (1331 N. Milwaukee Ave.) through March 2.